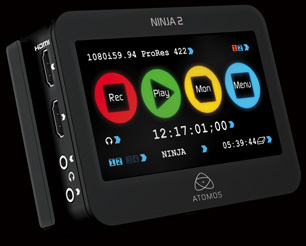 Anyone who reads my blog will know i'm a big fan of the original Atomos Ninja. I used it with my Sony FS100 to shoot the feature film 'The Addicted'. I love the simple workflow and the extra quality i get from using the Pro Res files as opposed to the camera's internal AVCHD codec. 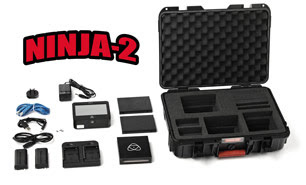 I got the latest version of the Ninja, known simply as the Ninja 2 a few weeks ago and i've been testing it since. Last week, i wrote and shot a short film just to test the unit in real world conditions. To make it interesting, i got my Casting Director, Jenny Gayner, who has never operated a camera before to shoot the short. I gave her a quick lesson in operating the camera and then i showed her the focus and exposure assist modes on the Ninja 2. Then i let her get on with it. I think it shows just how good they are that she then shot the whole film in focus and perfectly exposed.... she even held the camera still...most of the time. I designed the set to show off the low light abilities of both the camera and how the Pro Res HQ codec holds up. There were 2 mini par lights with diffusers lighting the table either side of the chair and then a small LED front light lighting the face. This was also diffused and set on a very dim setting. We dragged the files from the Ninja drive to my iMac and edited it on FCP7. All i did was do a quick grade using Magic Bullet Looks and then add a very tiny amount of foley (all done in one pass) and then i added the fantastic music composed by Jon Atkinson. (it is actually part of the score for 'The Addicted'. It's just a simple little film with little in the way of movement, but i think it shows that someone with very little experience can operate the Ninja2 and get great results. The Pro Res HQ files are stunning to work with... i'm not gagging for RAW yet like everyone else seems to be. So, what do i like about the Ninja 2 so much? 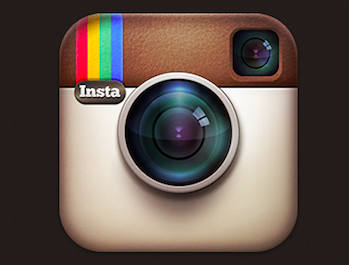 It's an amazing piece of kit, but even more so when you consider how much it costs. Also announced this week is the Atomos Ronin. 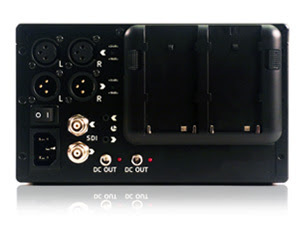 A desktop portable recorder/player/monitor.